So I covered apples on Day 1, and for Day 2 keeping on with a fruit theme seemed like an obvious choice, so oranges it is. I grabbed another favorite of mine for this, Kleancolor - Metallic Orange. Doesn't this just look like it's glowing? 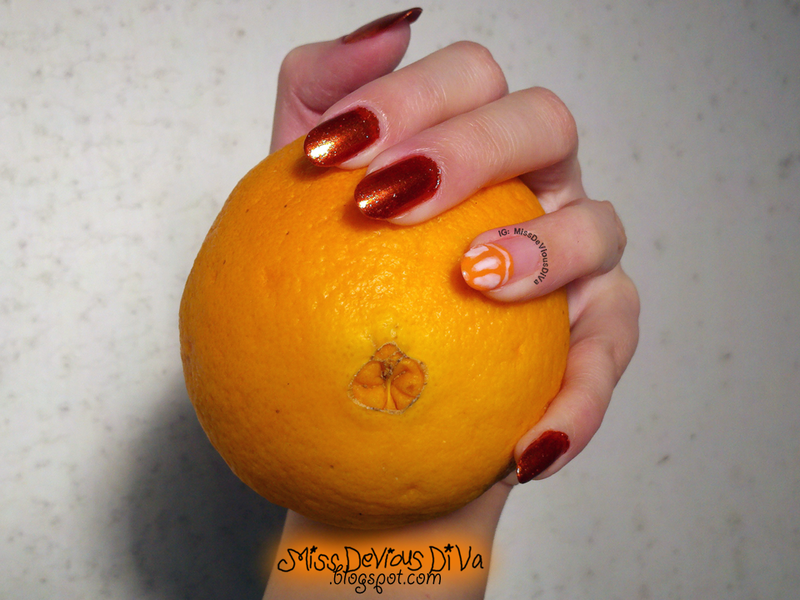 For my orange slice, I used Wet N' Wild - Sunny Side Up and Love & Beauty - Ivory. See how Metallic Orange just glows in the sun? Orange you glad I haven't made an orange joke yet? Day 2 is done with, but the rapper in me is sitting here trying to find every word that rhymes with orange.